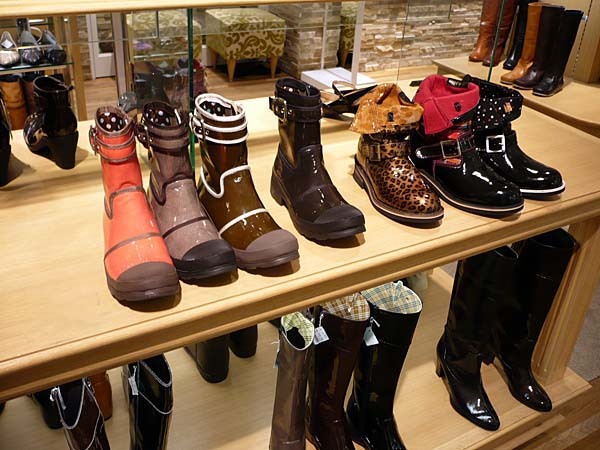 In the last few years, rubber boots are getting popular among Japanese women. No, they are not like the black ones that fisher men wear!! 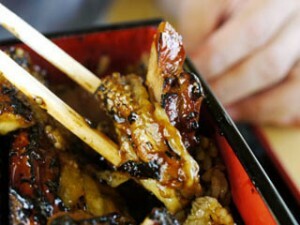 They are really fashionable, and there are all kinds of designs. Those stylish rubber boots are called “Rain Boots”, and there are also “Rain Pumps” and “Rain Shoes”. Because they are made of rubber, they shed water and easy to clean. Women wear those for a rainy day or showy day. The popular designs of rain boots are pop ones, leather-like ones, jockey rain boots, and rain booties. Since they look like regular boots, women can easily coordinate with their wardrobes!! P.S. 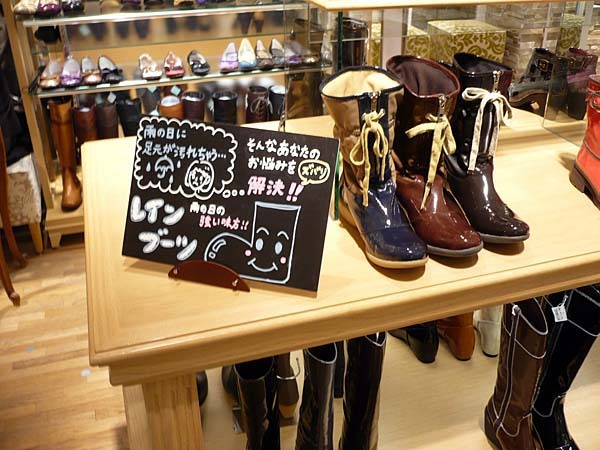 The average price of the rain boots that are sold at department stores are about 10,000 yen.